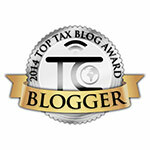 The Buzz About Taxes: To Roth or Not To Roth (an IRA)? A Classic Shakespearean Conundrum! To Roth or Not To Roth (an IRA)? A Classic Shakespearean Conundrum! Are you wondering what Hamlet, has to do with Individual Retirement Accounts (IRA)? I have an answer for that!! Recently revisiting the Shakespeare play 'Hamlet' and listening to the opening of the soliloquy in the "Nunnery Scene", "To be, or not to be, that is the question--" etc., I wondered how many times we face the same questions albeit in not such dire straits as Hamlet! On the Roth, you can withdraw your initial contributions free of taxes at any time without penalty. You can also pull out both earnings plus contributions penalty free if pulled out under certain circumstances. However, do keep in mind that profits withdrawn before retirement age, and before the money has been in the Roth for at least 5 tax years will be taxed. You'll also incur a 10% penalty when the earnings are withdrawn before age 59 1/2.